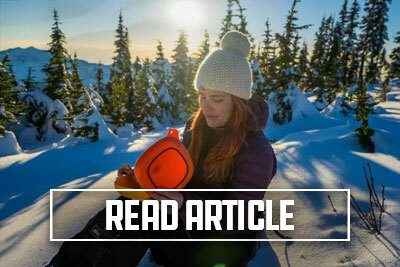 Made from ultra-durable material, this Mess Kit is built to bang around in your rucksack on the weekend and pack your lunch on Monday morning. 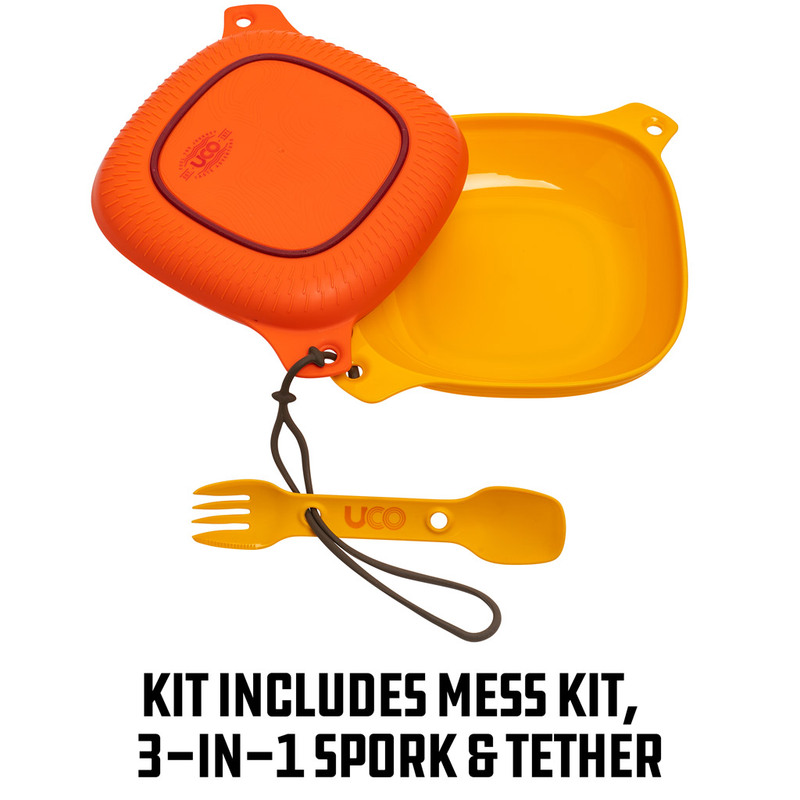 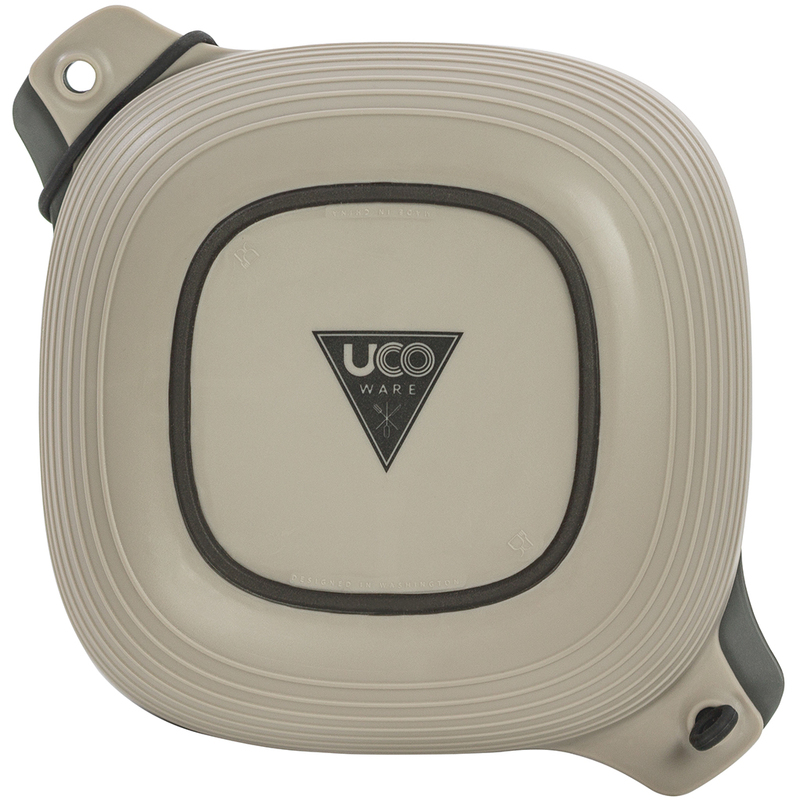 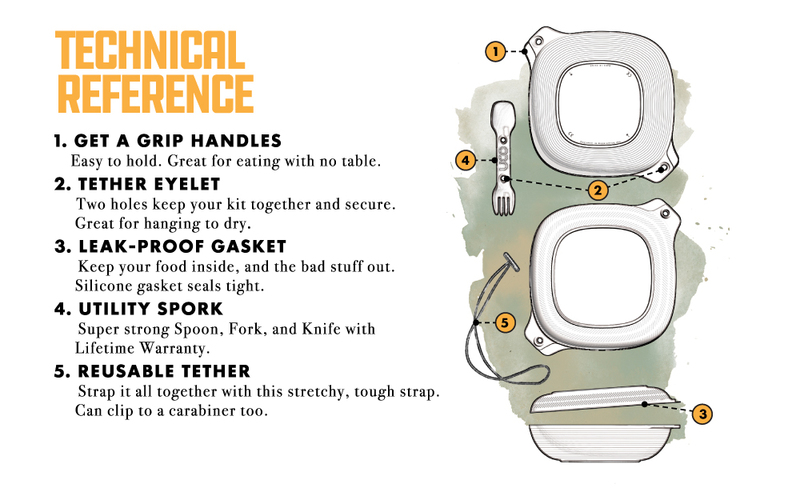 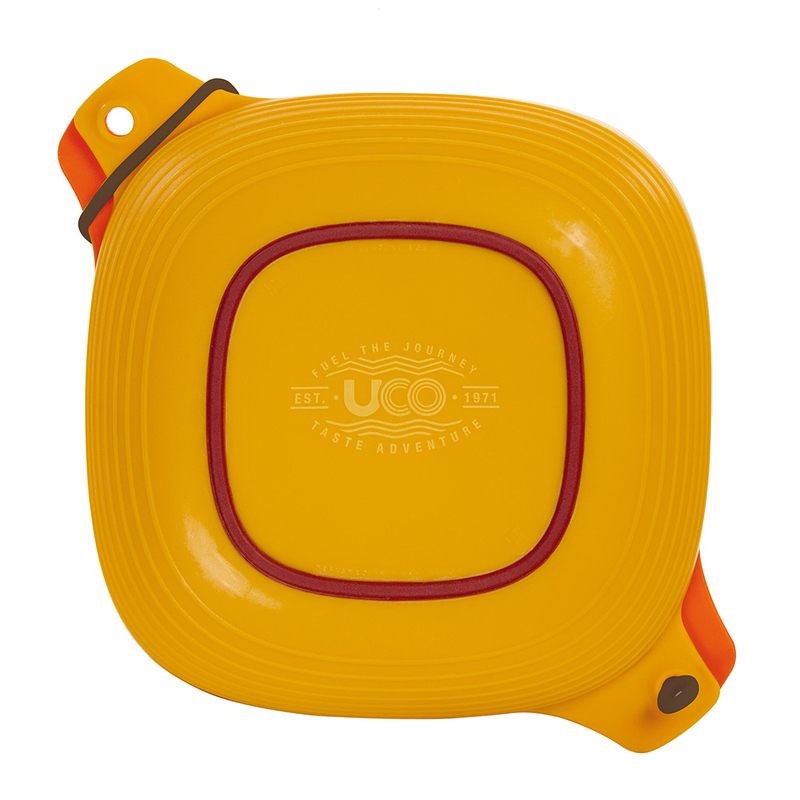 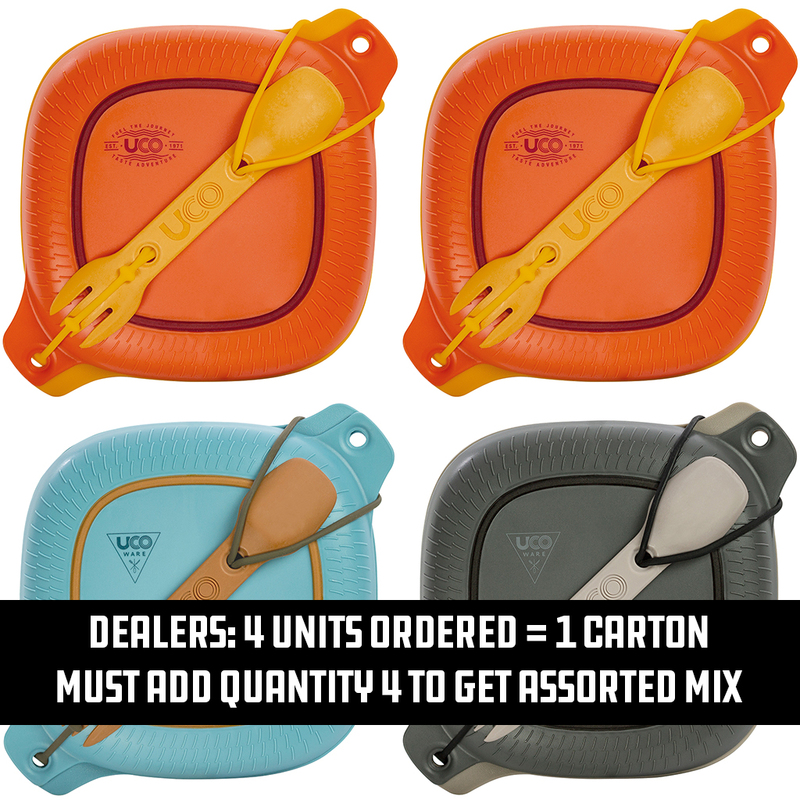 Set this mess kit anywhere because rubberized grips on the base of the lid and bowl ensure it will stay put. 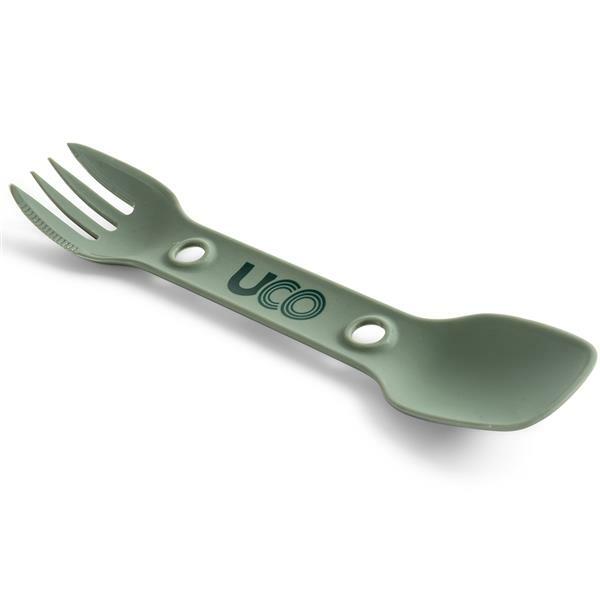 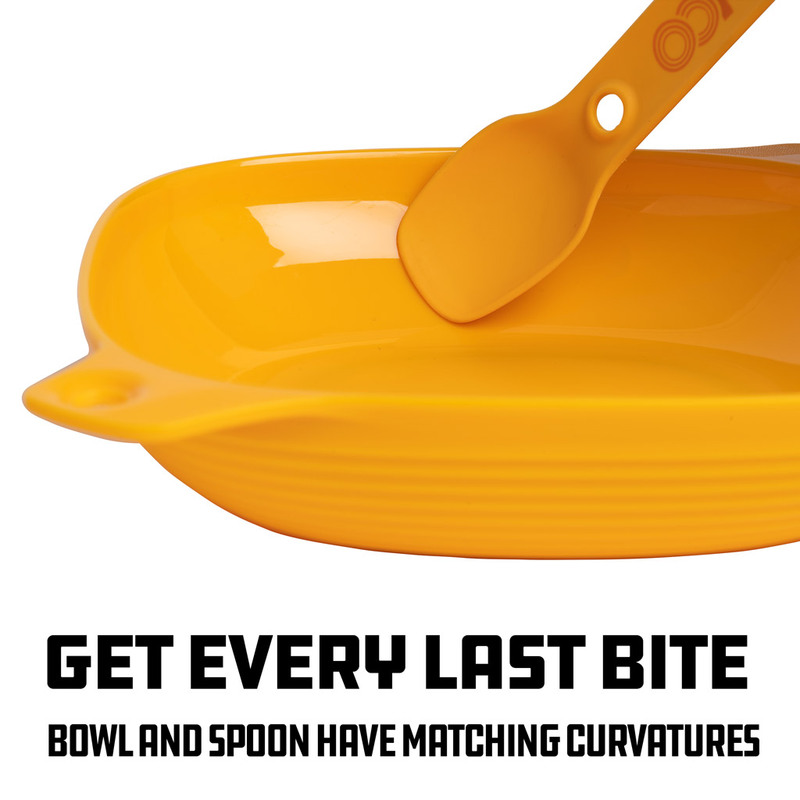 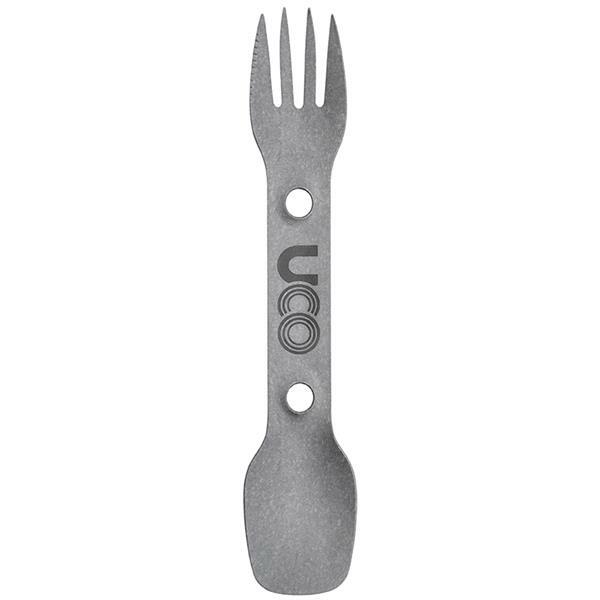 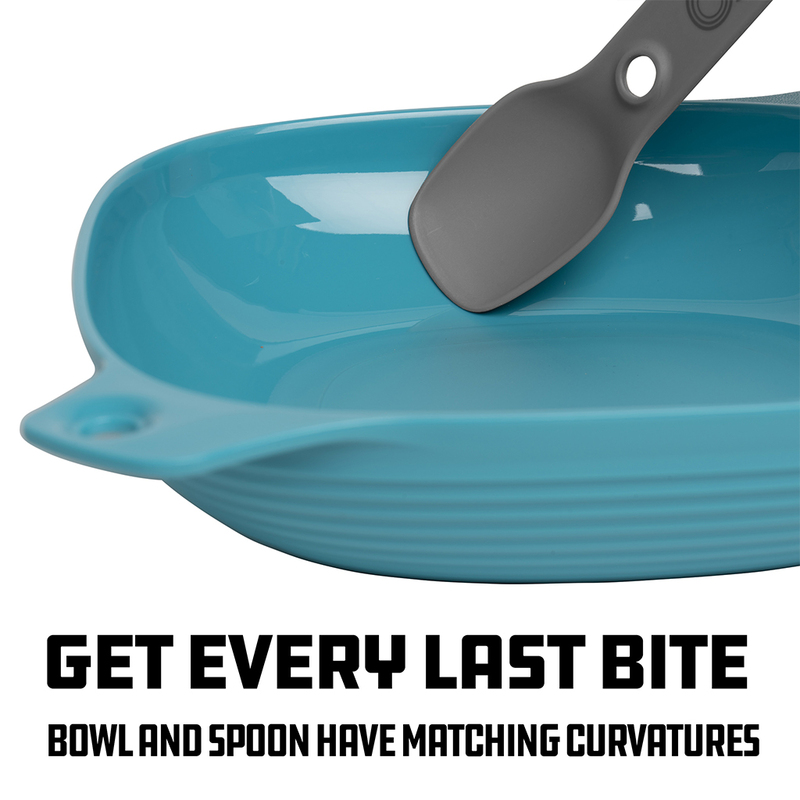 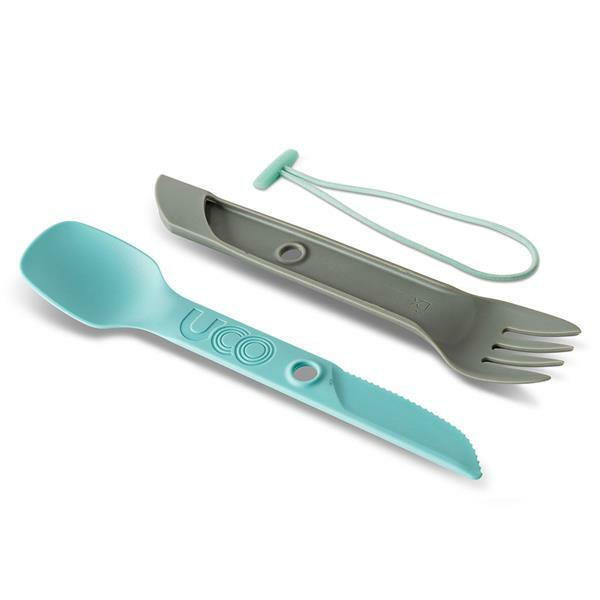 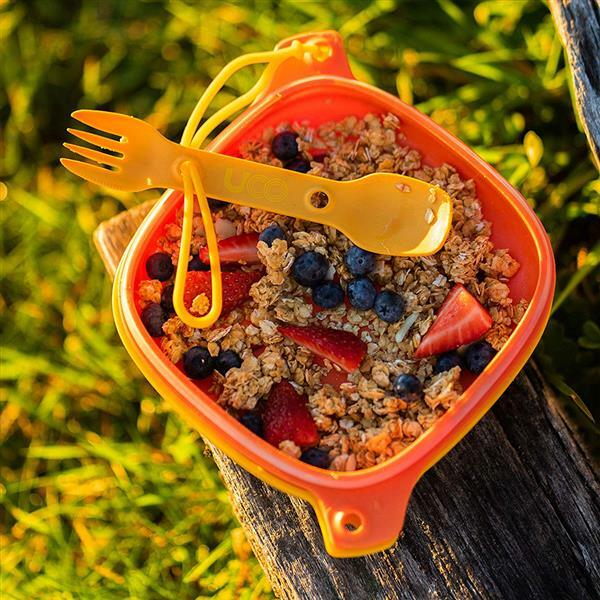 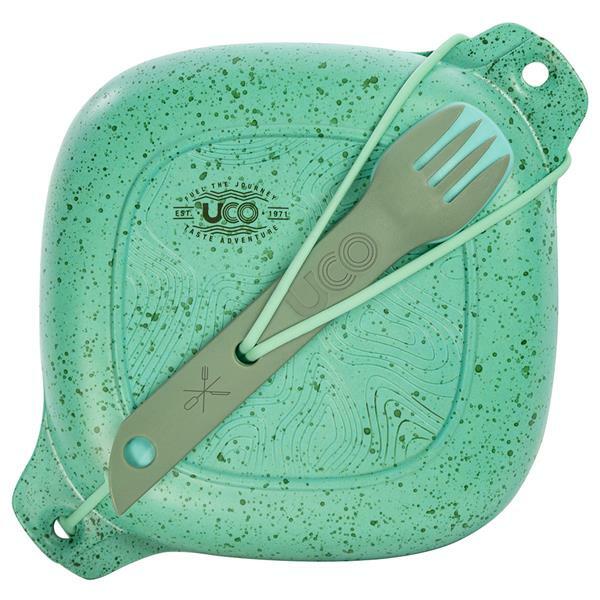 The lid and bowl are curved to match the sides of the 3-in-1 Utility Spork so you’ll never miss a morsel. 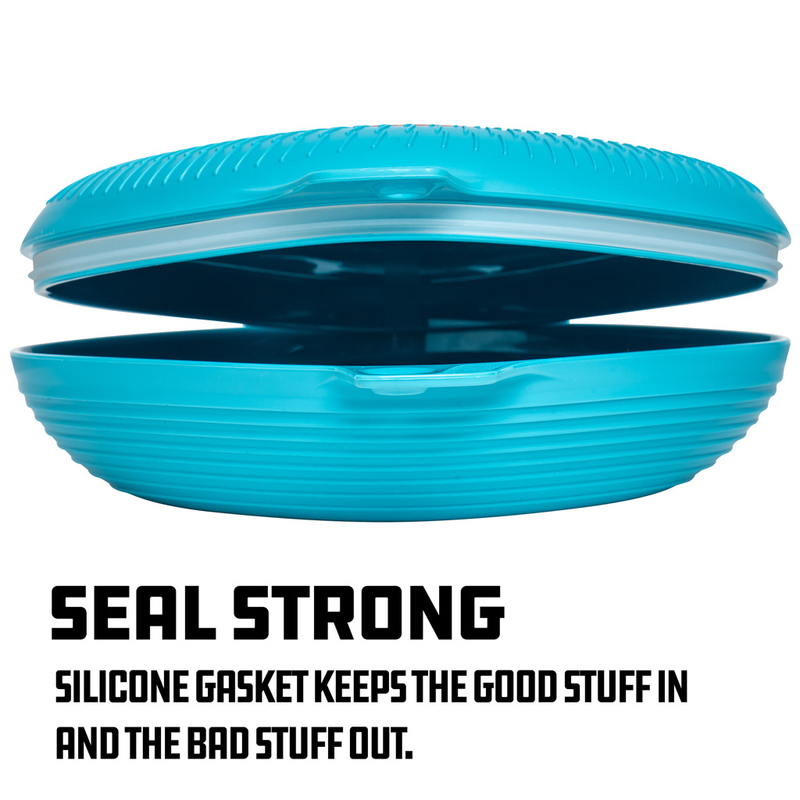 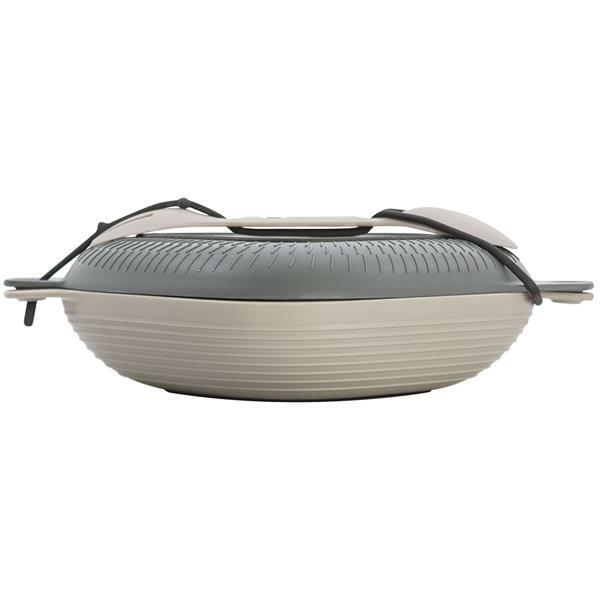 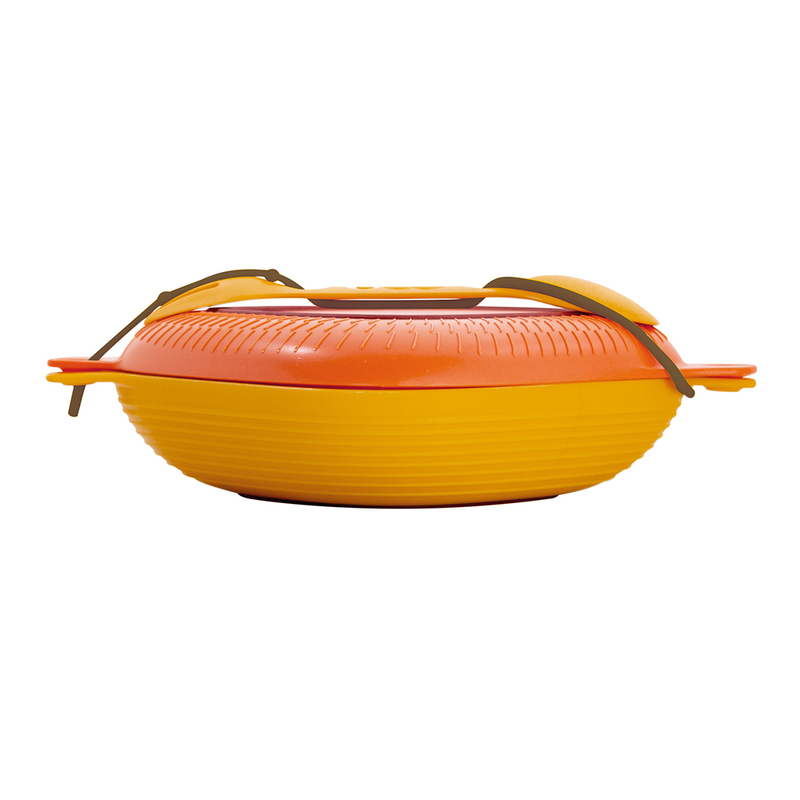 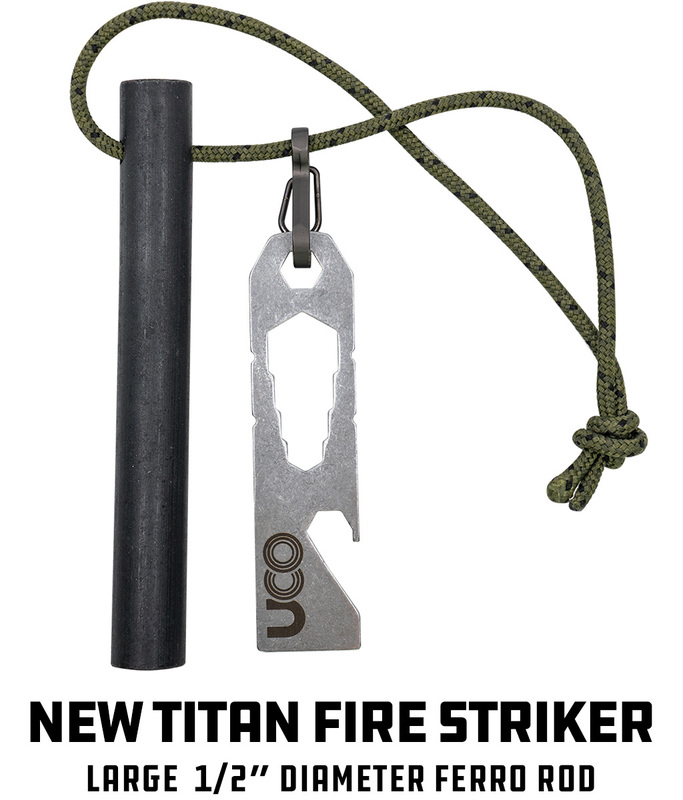 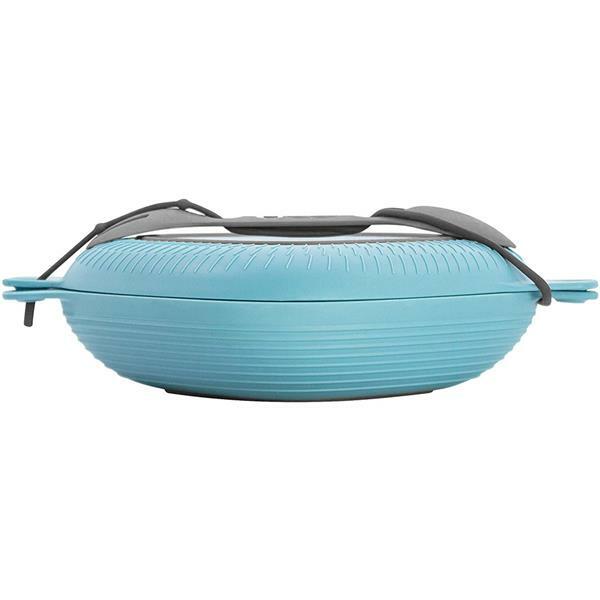 Great product, i put water in it to test the spill proof and it works very well. 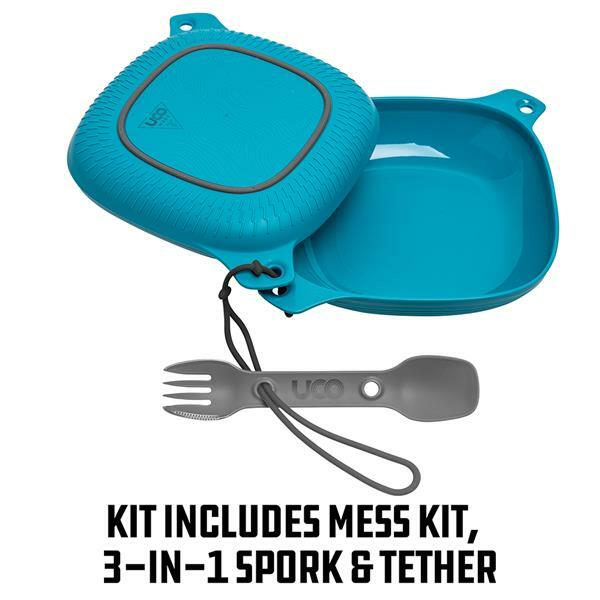 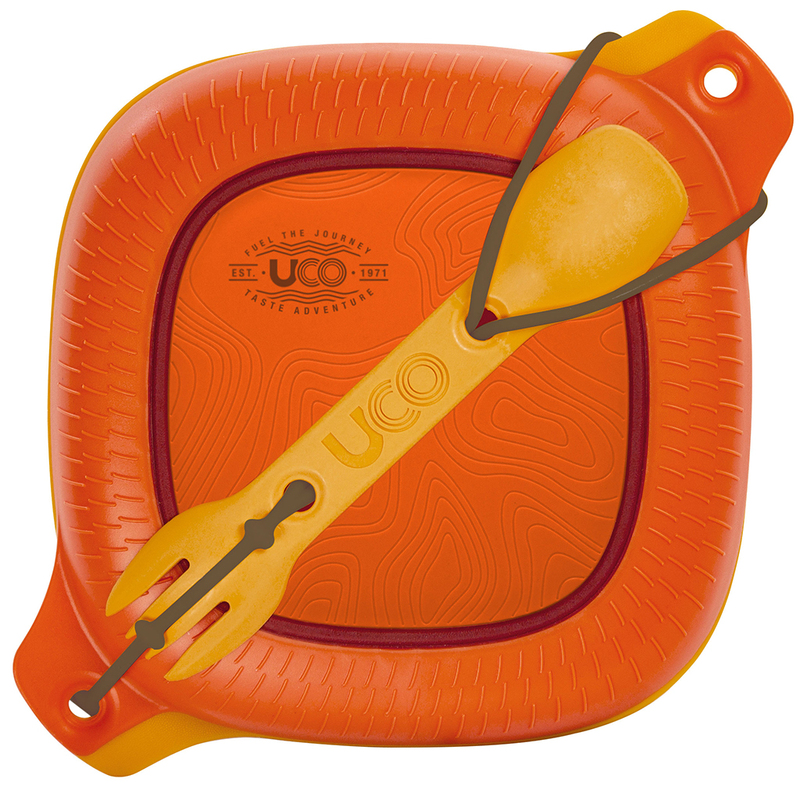 Also works very well As a college student you can pick up the campus food to go with this here, since its spill proof it works very well to put in a backpack. 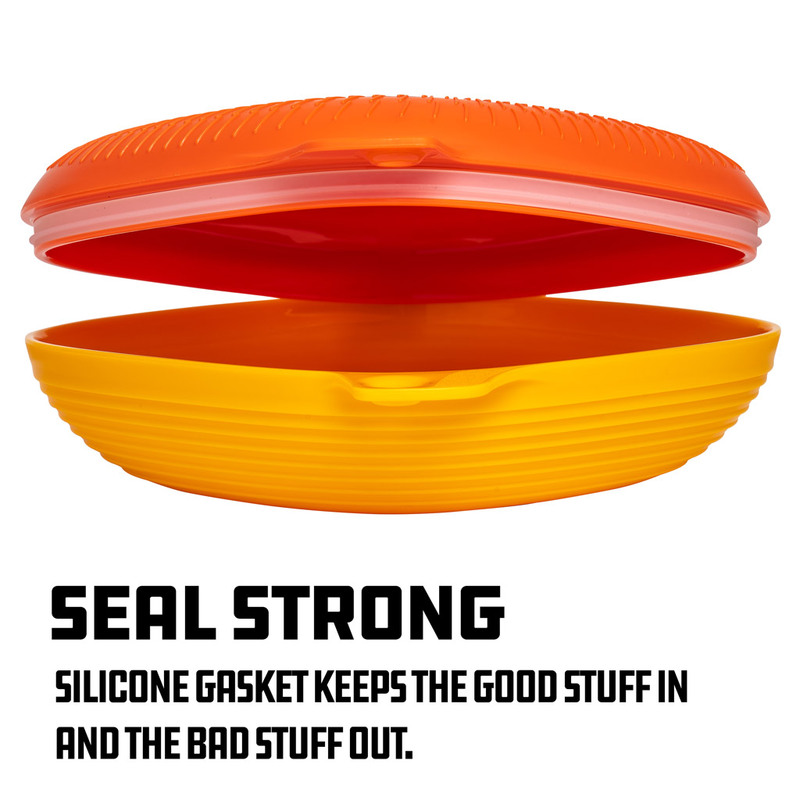 hope to see more similar products to this.